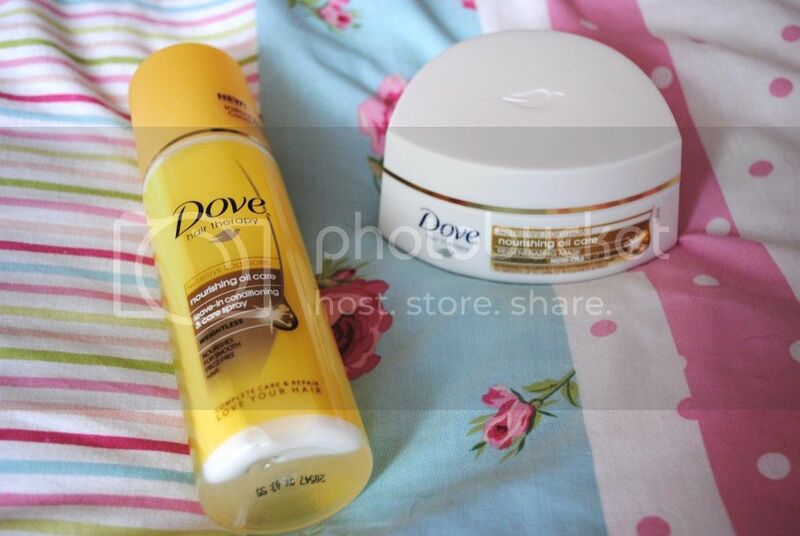 I'd seen a few rave reviews of the Dove Nourishing Oil Care range (the gold one, basically) on several blogs, and seeing as my hair is never usually in the best of states (I wash it far too much, I back-comb it far too much), I thought it best to invest in a couple of the products to see what the fuss was all about. I decided to go for the Leave-In Conditioner (because it's something easy to spruce my hair up - a few sprays and *fingers crossed* my hair would thank me for it) and the Regenerating Mask. First up - the Leave-In Conditioner. Simply put - I'm SO glad I bought this product. I've tried a few leave-in conditioners in the past but this one is most definitely my favourite. For a start - it smells divine, with a mix of almond and coconut, it smells so sweet and yummy, almost good enough to eat (I definitely don't advise this). It claims to contain 'dual benefits' - basically, you shake it up before spraying and reap the benefits of its 'smoothing' and 'conditioning' contents. I definitely think it works. My hair is usually a huge frizzy, knotty mess after washing, which is pretty damn hard to get a comb through. 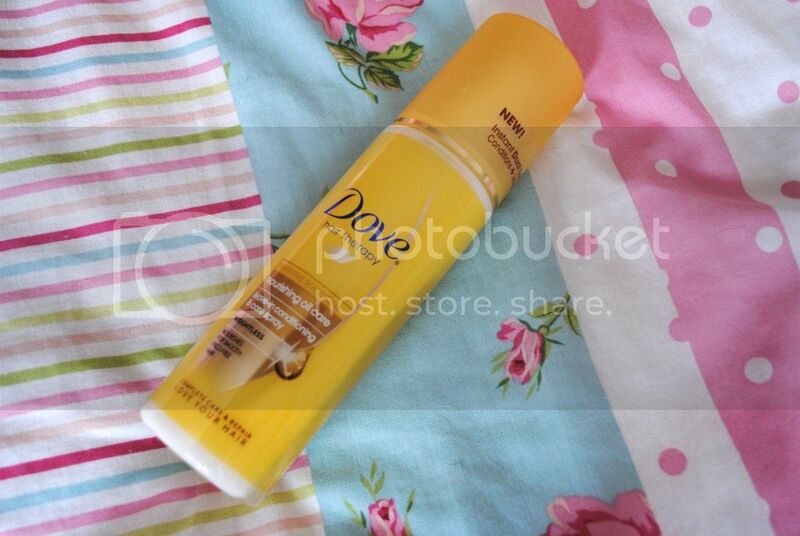 However, when I spritz this baby on I find it so much easier to untangle, and it feels SO smooth and strong once dried. I've never seen my hair as nice and shiny and (I'll say it again) SMOOTH as it is when I use this. Definitely worth a try if you have frizzy/knotty/bad-conditioned hair. It can also be used on wet OR dry hair, which is always good! Onto the Regenerating Mask. I have tried a LOT of 'deep-conditioning', 'hydrating' and 'regenerating' masks before, so I have a good idea about what I expect from them. I always leave mine on for 5-10 minutes, wash out and see what results I get. I love the feeling of having really soft, smooth hair after a deep-conditioning treatment, but I didn't really find it with this. Yes, it makes your hair feel nice, but it didn't really 'wow' me. There are definitely better deep-conditioners out there, so I felt a bit let down by Dove's offering, especially considering how much I liked the Leave-In Conditioner. It's not that I dislike the product, it just didn't do anything extraordinary and I expected a lot more really. Both retail between the £3-£4 mark, so they're definitely affordable. I would most certainly recommend the Leave-In Conditioner, but if you are looking for a really good deep treatment mask I would steer clear of this one, as there are much better ones on the market. 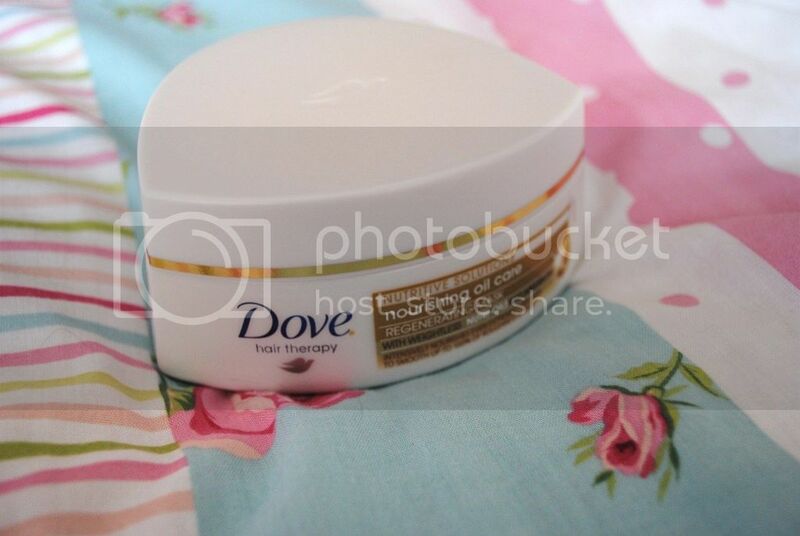 Have you tried any of the products from Dove's Nourishing Oil Care range? What did you think?